The decisive electoral victory of far-right Brazilian presidential candidate, Jair Bolsonaro startled politicians and analysts of the traditional parties of the left and right. We shall proceed by outlining the socio-economic events and policies of Brazil which led up to the rise of the highly authoritarian, neo-liberal Bolsonaro regime. We will then discuss if similar circumstances are emerging elsewhere and whether anti-authoritarian popular-democratic politics challenge the threat. We will conclude by evaluating the future of far-right regimes and their enemies. Brazil was ruled by a military dictatorship between April 1964 and March 15, 1985. Though the military formally withdrew from the regime it retained many powers and prerogatives, including impunity for the thousands of cases of arbitrary violations of human rights including torture and assassinations. However, during the height of the so-called ‘economic miracle’ during the 1970’s, sectors of the middle class supported the rule by the triple alliance of private business, state enterprise elites and the military. Only when the regime faced a major crisis in the early 1980’s did the military give way to electoral politics. The authoritarian legacy remained embedded in the political culture of the military and its followers. With the deepening economic crises of neo-liberalism, the corruption of civic culture and the increase of crime during the second decade of the 21st century, a militarized political movement headed by Jair Bolsonaro came to the fore. Most commentators have emphasized the amorphous mass of voters’ discontent with political corruption as the basis for the rise of the right. Moralism and insecurity with street crime were cited as the driving force of rightwing extremism. Yet powerful economic power elites played a decisive role in propelling Bolsonaro to power. While masses were in the street, the Brazilian National Agricultural Confederation, the Federation of Banks and other prominent elite associations provided the funds, the legitimacy and legislative muscle. Over 40% of the Senate and Congress was controlled by the ‘ruralist bloc’, which came out in favor of Bolsonaro. Many of the voters who previously supported ex-President Cardoso’s center-right candidate Geraldo Alickman defected to the authoritarian right reducing his estimated vote by half. The judiciary, under the influence of the agro-business and banking elite exploited political corruption to discredit and prosecute the center-left and the traditional political parties, leading to the impeachment of President Dilma Rousseff and the arrest and prosecution of the leading left candidate Lula Da Silva. 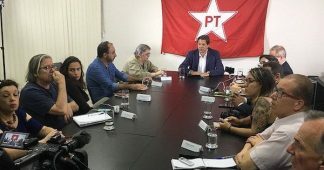 Bolsonaro’s appeal to the elite is grounded in his program of savaging the working class: he promises to freeze public salaries for twenty years; lower pensions and increase retirement age up to twenty years; increase the role of the military and police in repressing strikes and land reform movements; end all restraints on pillaging the Amazon forest; lower taxes for the rich, deregulate the private economy and privatize the public sector. In effect the Bolsonaro’s policies follow the script of a corporatist – neoliberal state: fascism with ‘free markets’. The pro-military policies are code words for mass repression; his pro-business strategy is disguised by an embrace of ‘family values’ and virulent hostility to working women, Afro-Brazilians, gays and indigenous people. His crusade against crime excludes bankers, landowners and industrialists who bribed politicians and congress- people – only the latter were prosecuted. The Future of Neo-Liberal Fascism; Wave of the Future? 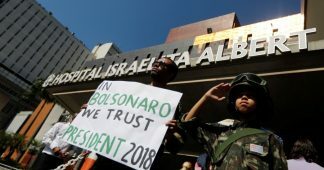 Will Bolsonaro’s version of neo-liberal fascism set the mark for other Latin American countries? Will his regime intervene and overthrow progressive countries? Will his victory in Brazil spur similar developments throughout the world? In the aftermath of Bolsonaro’s first round electoral rout, the real (Brazilian currency) rose 3% against the dollar and the stock market jumped 4.5% in expectations of the total de-regulation of markets, and the privatization of the entire public sector. Though Bolsonaro is compared to President Trump, there are both similarities and differences. Both share hostility to minorities, flaunt a rabidly chauvinist ideology and embrace ‘nationalist’ slogans. Yet Bolsonaro cannot embrace Trump’s protectionist policies and trade war with China. The agro-business elite in Brazil, which is an essential social bloc, would not permit him to undercut their vital export markets. 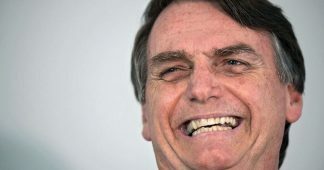 Bolsonaro’s neo-liberal fascist policy resonates with several regimes in Latin America, namely Colombia and Argentina. In Colombia large scale militarization and death squads’ collaboration in support of neo-liberalism have been in place for decades prior to Bolsonaro’s rise to power. Moreover, Colombia’s oligarchic regime does not depend on the mass base and charismatic leadership of a ‘fascism’ regime. Argentina under President Mauricio Macri might like to imitate Bolsonaro but his dependence on the IMF and its austerity program precludes any ‘mass base’ which might have been mobilized at the start of his neo-liberal regime. This takes us to consider the stability and duration of the Brazilian experience of neo-liberal fascism. Several considerations are foremost. Bolsonaro’s embrace of radical attacks of wage earners, salary employees, pensioners, debtors, small farmers and business-people may erode his ‘mass appeal’ and charisma. The mass electoral fervor may not withstand the deterioration of basic socio-economic living standards. Bolsonaro’s regime lack a congressional majority will obligate him to form alliances with the same corrupt parties and politicians which he denounced. The post-election political deal making may disillusion many of his ‘moral’ supporters. 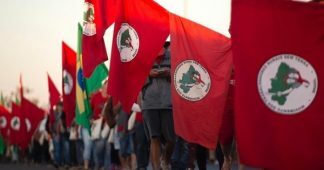 If his free market program deepens social polarization and the class struggle, general strikes may result – though Brazil lacks the Argentine working-class tradition. 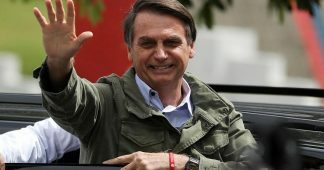 The agro-mineral elite, the military and the bankers will back Bolsonaro’s ‘war on crime’, and even benefit from the war in the slums, but unless he can stimulate investments, export markets and incorporate skilled workers and innovative technology, Brazil would be reduced to becoming merely an agro-mineral economy run by oligarchs and warmed over corrupt politicians. Bolsonaro’s hostility to blacks, women, gays, trade unions and urban and rural social movements may win votes, but it does not increase profits and growth. Reactionary policies may attract amorphous middle-class voters, but it is not a program for governing nor does it serve as a coherent economic strategy. There is no doubt that the explosive appeal of the ‘anti-establishment rhetoric has initially successful. There is no doubt that the military-regime alliance can withstand and repress a popular backlash, but can the regime rule sitting on bayonets? The defeat of neo-liberal fascism in Brazil and its possible imitators elsewhere depends on the scope and depth of organized resistance. Bolsonaro’s ability to implement his assault on the living standards of the popular classes will depend on the scope and intensity of the class struggle. 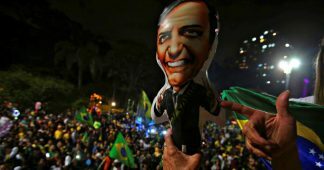 For starters Bolsonaro has won an election – but it has yet to be determined whether neo-liberal fascism is a viable, durable alternative to populist nationalism and social democracy. Likewise, it is not yet evident that the declining Left, fragmented and discredited can regroup and offer an alternative road to power. Brazil: Towards Dictatorship and Civil War!